On episode 241, we dig deep into how you can own your authority and influence through blogging and writing. 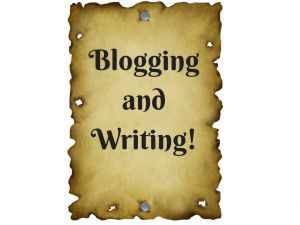 That’s right: blogging and writing! First, Keith shares the story of how he started his blog in January of 2005 on a dare from his big brother; you gotta hear this, folks! Writing and blogging are essential to business. Many of us use writing and blogging in very powerful ways. Your blog can also capture members of your audience through calls to action; your audience may be willing to share their email address with you when you have something of value to offer. Remember, Google’s algorithms see your blog, and measure your website’s performance based on this fresh new authoritative content you’re consistently posting. They can measure the engagement on your website, and you can positively impact your website’s relevance and authority through blogging. For those of you who podcast, your show notes can actually be the “meat” of your blog. This is true for both RNFMRadio and NurseKeith.com. Keith has leveraged the authority, visibility, and quality of his blog to create a robust career as a freelance nurse writer. He’s currently the Chief Content Strategist over at Nurse.org’s blog, and this awesome consulting gig is a direct result of his authority and renown as a well-known and widely respected nurse writer. We’re honest on this episode about how it’ll take time for your blog to gain authority, recognition, and ranking, but it’s well worth your efforts to communicate with your target audience. Remember to ask yourself this question: is this blog itself your business, or is it just one of the tentacles of your business, a mouthpiece of your business? Some people do indeed work very hard to monetize their blogs by writing posts sponsored by an advertiser; they also sell banner ads on their blogs. At Pulse Media Group, all three of us (Keith, Kevin, and Elizabeth) don’t really believe in selling space or writing sponsored posts on a blog, something that we feel cheapens a blog’s impact. Keith really likes his blog to be clean and free of commercial bias and influence. Keith has made some choices in the past that he regrets in terms of ads and posts related to some of his strategic partners; based on his experiences, he continues to advocate for the cleanest possible blog presence that you can manage. Your end game for your blog is essential to understand; do you have a product or service to sell? What is the purpose of your blog? Are you marketing your services or products with your content? This is all crucial to understand and put into action.